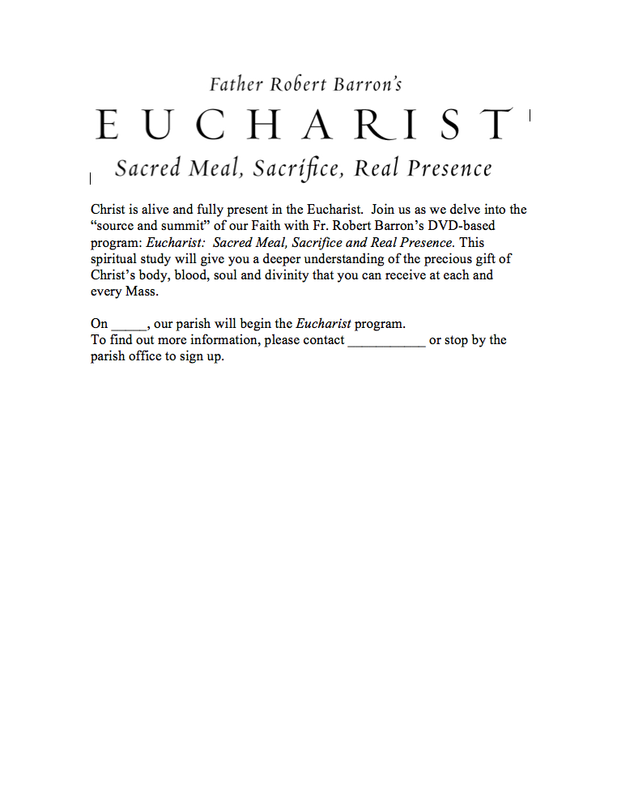 The Study Guide is a companion guide for either the Eucharist DVD or CD. 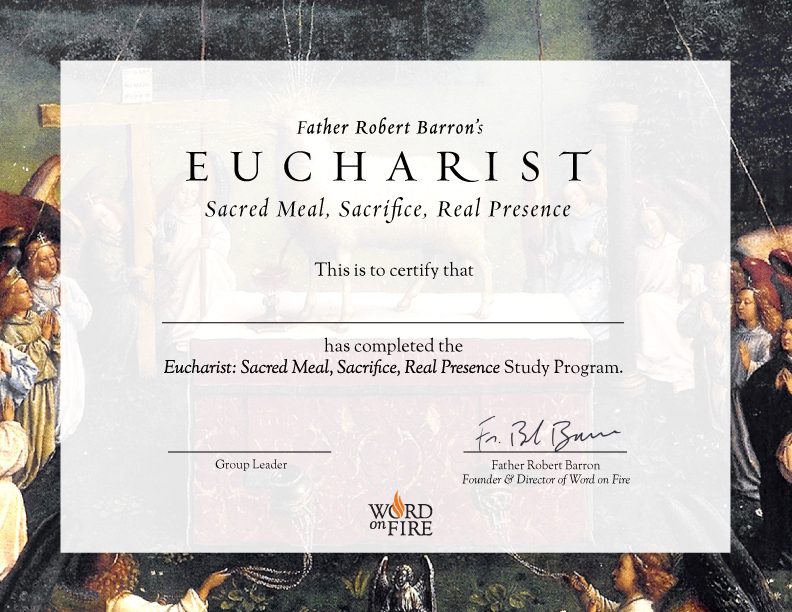 It will enhance your understanding and interaction with Bishop Barron’s presentation on the most Holy Sacrament in individual study or as part of a group faith formation program. The program can be presented in four or five 90-minute sessions. 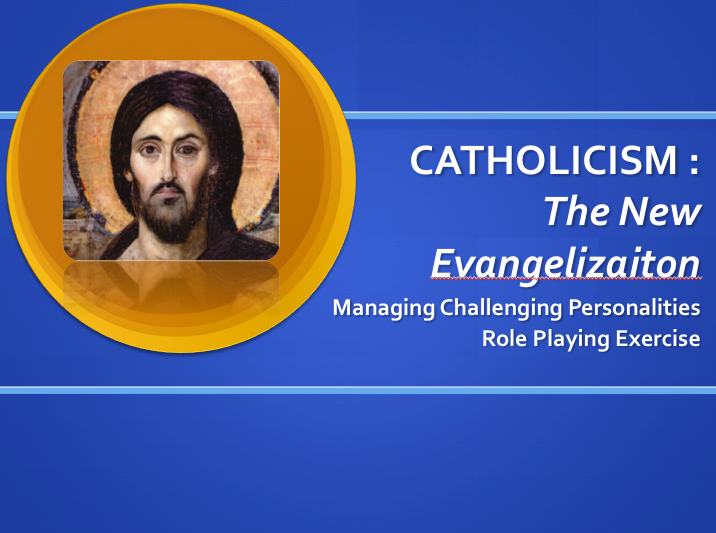 Each section of the study guide provides a detailed commentary on the DVD and “Questions for Understanding" based on the DVD presentation, Scripture and the Catechism of the Catholic Church. 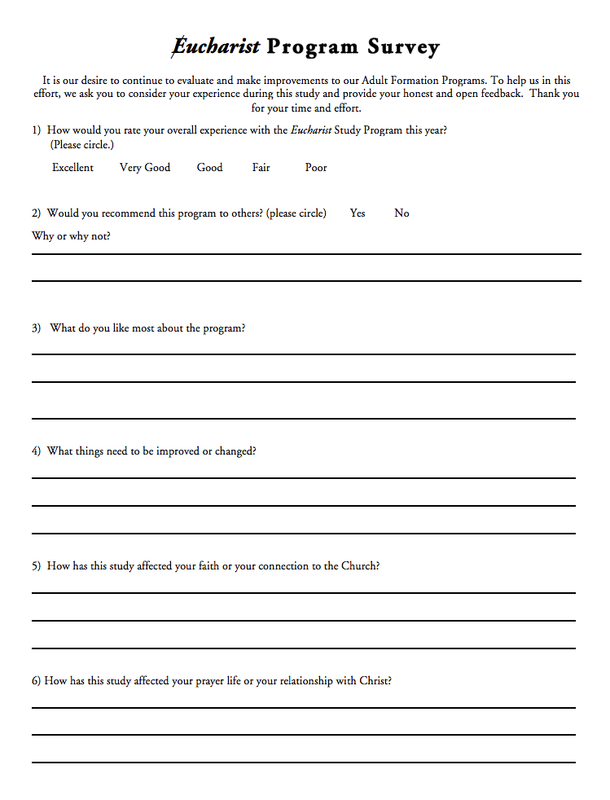 The sections also include “Questions for Reflection" that help in connecting the material to your own life and experience. For group study, each session should include DVD viewing and group discussion of the Study Guide questions. Participants should read the commentary in the study guide and prepare the questions before the small group discussion. This preparation can be accomplished either before or after they view the DVD. 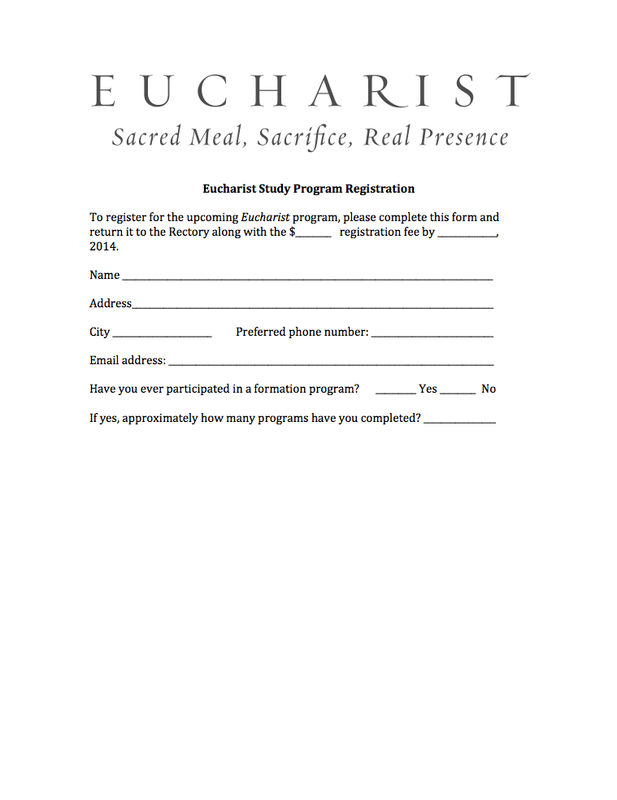 Take a deeper look at the “source and summit” of our Faith, the Eucharist. 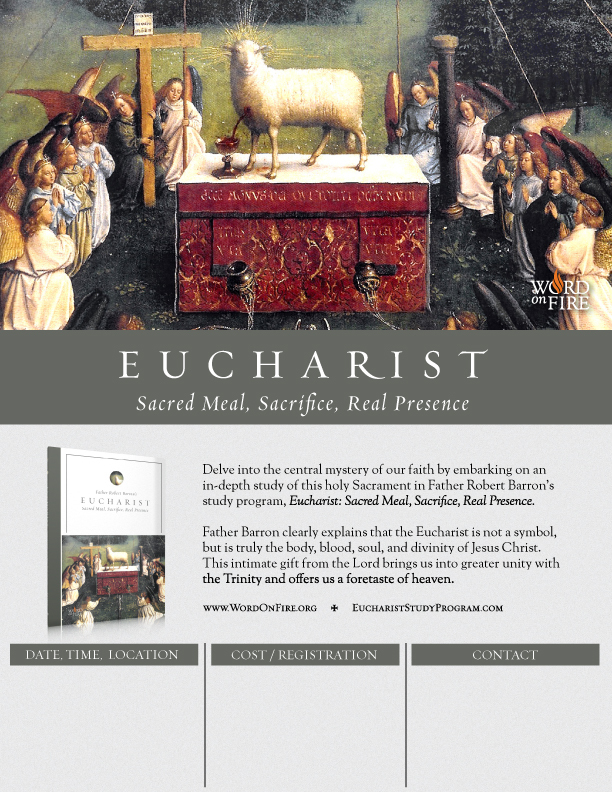 Bishop Barron brings to light the Blessed Sacrament’s reality as a sacred meal, the sacrifice necessary for communion with God, and most importantly, as the Real Presence of Christ. 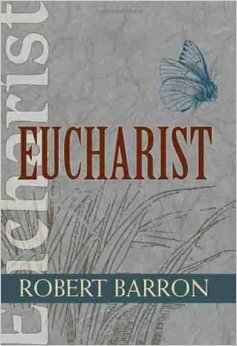 Bishop Barron offers inspiring insights into the mystery of Christ's presence in our lives and the centrality of the Eucharist. 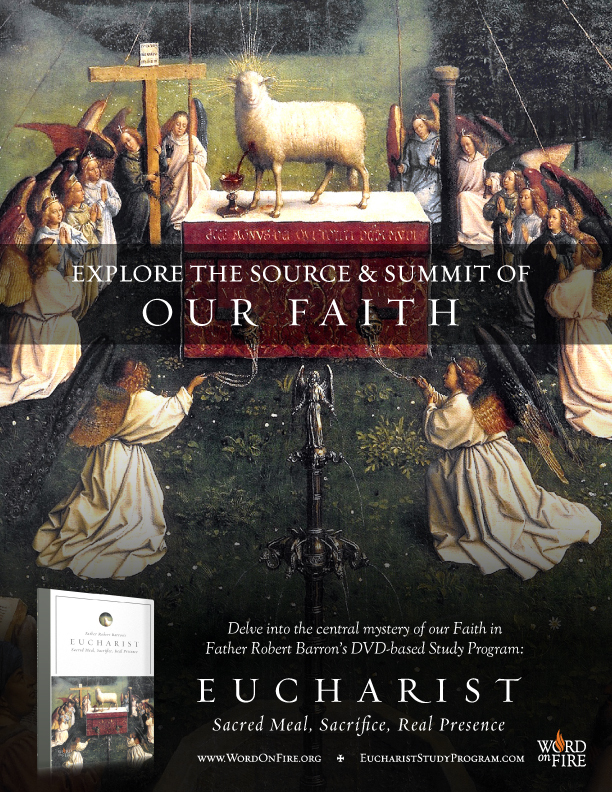 You can watch the Eucharist DVD and then probe more deeply into Bishop Barron’s message by using the companion Study Guide, which is divided into sections that correspond to each part of Bishop Barron's presentation. 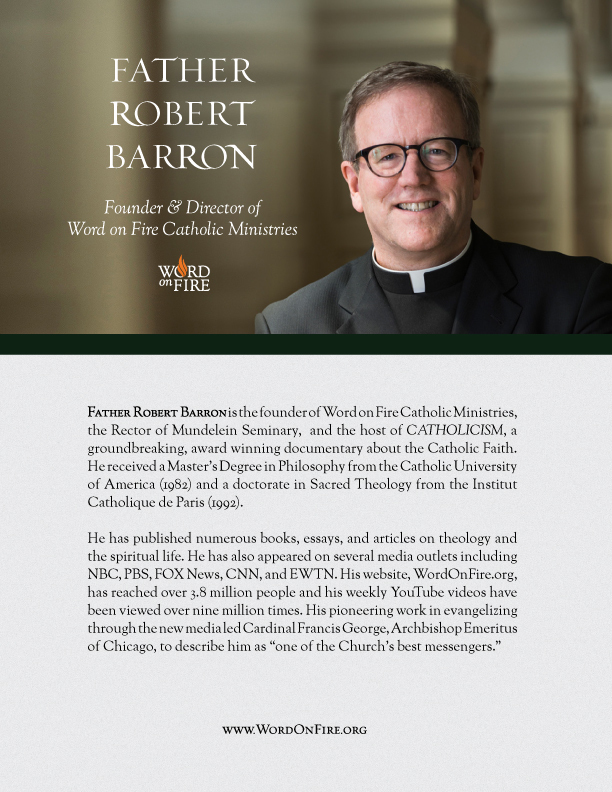 The Study Guide was written by Word on Fire staff members who hold Theology degrees, Rozann Lee and Robert Mixa, under the direction and approval of Bishop Barron. For group study, you can present the program in six 90-minute sessions. Each session includes DVD viewing and small group discussion of Study Guide questions. Participants should prepare the questions on their own after viewing the DVD but before the small group discussion. 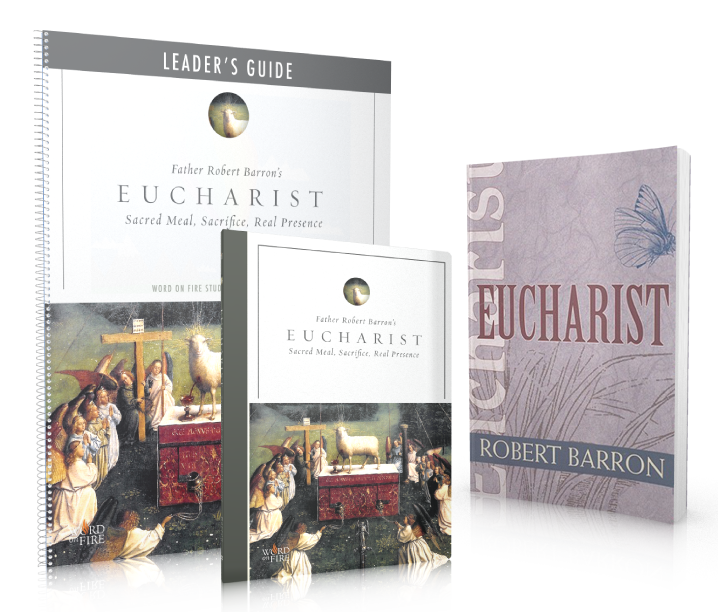 The Leader’s Kit provides essential resources for lay discussion leaders, including the DVD, lessons, facilitator guide, answer key and the companion book by Bishop Barron, Eucharist. In addition, leaders can access free, downloadable promotional materials and other tools using the “Support Materials” tab above..